Writing for Tone Report Weekly! 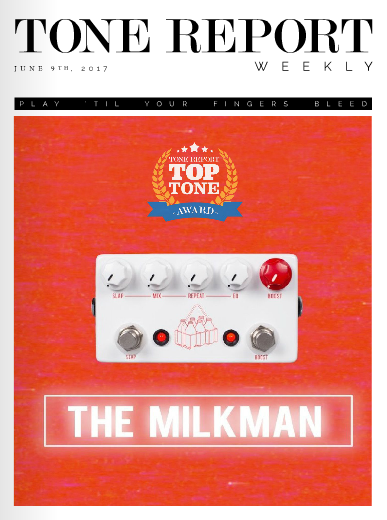 I’ve been wanting to talk more about this for a while, but I recently became a contributing writer for Tone Report Weekly, a music magazine associated with Pro Guitar Shop set up here in Portland. I’ll be writing pedal reviews along with articles about music old and new. I’ll be posting the articles I’ve written so far in the back catalog, along with links to new articles as they come out.